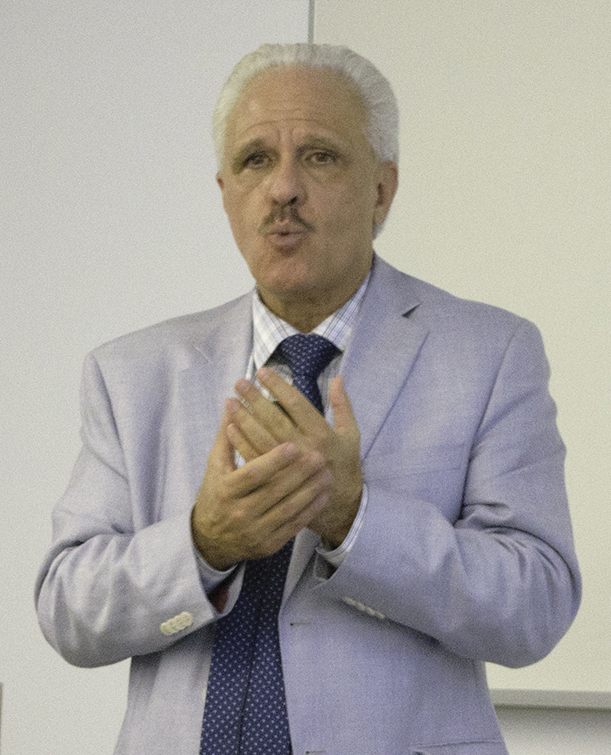 On August 26, Dr. Manuel Perló Cohen, director of the Institute for Social Research at UNAM, gave two lectures at the University of Arizona and the other at the Consulate of Mexico in Tucson. Both lectures highlighted important issues pertaining to hydro-social sustainability and the need to reassess the forms of cooperation between the U.S. and Mexico. The first lecture given at the UA was called, "Hydro-social Sustainability of Mexico City" in the context of the University Forum, Mexico: Diversity and Challenges at the University of Arizona. This University forum is part of a broader program currently presented by several renowned artists and scientists in the U.S. showing UNAM’s contributions in scientific, technological and cultural areas that tend to strengthen relations between the two countries. 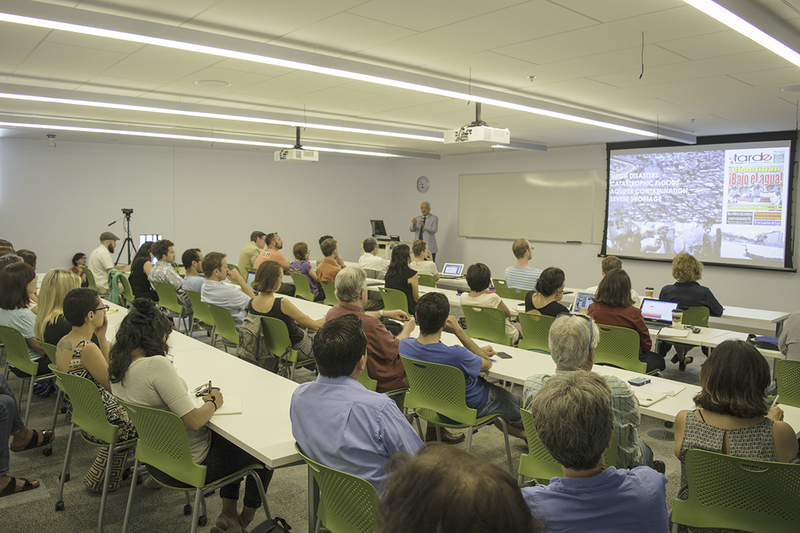 To an interdisciplinary audience of teachers, researchers and students, Dr. Perlo explained that problems related to water resources in Mexico City are overwhelming: water shortages, floods disrupting traffic and destroying property, infrastructure’s constant failures, as well as poor water quality. These are just some of the issues affecting the lives of 22 million people in the metropolitan area. He also said that the long-term structural effects are even more worrying: society as well as federal and local governments have to face the aquifer depletion, land subsidence, high operating costs, huge government subsidies, social unrest and political conflicts - now and even more in the future. In short, he explained that the hydro-social sustainability of the most important city in Mexico is at stake, jeopardizing their future. Dr. Perlo said that there are different and conflicting views on why such problems exist and, most importantly, he offered ways on how to approach them. In terms of solutions, one of the views promotes massive infrastructure projects such as water transfers, large treatment plants and large wastewater drainage systems. Another approach suggests, structural policies "soft infrastructure" such as rainwater harvesting, groundwater recharge, repair of leaks in distribution systems (with losses up to 40% of the supply), demand management, and the development of hundreds of local projects with community support. In his speech, Dr. Perló showed arguments in favor of the latter, presenting a project in which UNAM is currently leading the design and implementation in Iztapalapa, one of the poorest and most water-scarce neighborhoods in Mexico City. The project is called "The Quebradora Hydropark" and could be replicated in other cities around the world. The conference was co-sponsored by the National Univeristy of Mexico (Coordination of Humanities and UNAM Tucson, Center for Mexican Studies) and by the University of Arizona (the "College of Social & Behavioral Science," the "School of Geography & Development" and "Center for Latin American Studies". The other lecture Perlo gave to the community of Tucson was about the need to reassess the forms of cooperation between the U.S. and Mexico. He stressed that the Universities of Mexico and U.S. must lead the cooperation between the two countries. The conference was held at the Consulate of Mexico in Tucson, within the context of the University Forum, “Mexico: Diversity and Challenges,” a program sponsored by the Rector of the National University of Mexico (UNAM), in which, several connoted scholars are presenting conferences in the U.S. as a sign of positive contributions from UNAM in scientific, technological and cultural areas that tend to strengthen relations between the two countries. Dr. Perló Cohen said that while the Universities themselves will not solve the international relations problems, its contribution could be an axis of advice and a very important reference. I knew, he said, that the University of Arizona had established over decades, a strong tradition of collaboration and cross-border research. Both teams had traveled and work to produce important research and papers, and they have integrated extremely solid networks that can withstand almost anything. The bridges built by these relations are permanent. If we spread this excellent example of collaboration among governments, business and other organizations, I think we would be doing our job.